I like the look of her. Makes me think Eversor Assassin with the claw. Cheers 🙂 Yeah she’s kind of a merger between the Eversor- and a Deathcult assassin. Yeah true, the blade makes her deathculty. Indeed. Though she’s quite bulky or has more mass than you’d think when compared to the original deathcult assassins. No doubt 🙂 Though I liked the artwork more than the actual miniatures. The poses didn’t do it for me. I quite liked them. Hmm. I have the other assassins now… but no Deathcults… must rectify that! Buy those new witchelf models. I’ve seen some awesome deathcult assassins made from those. 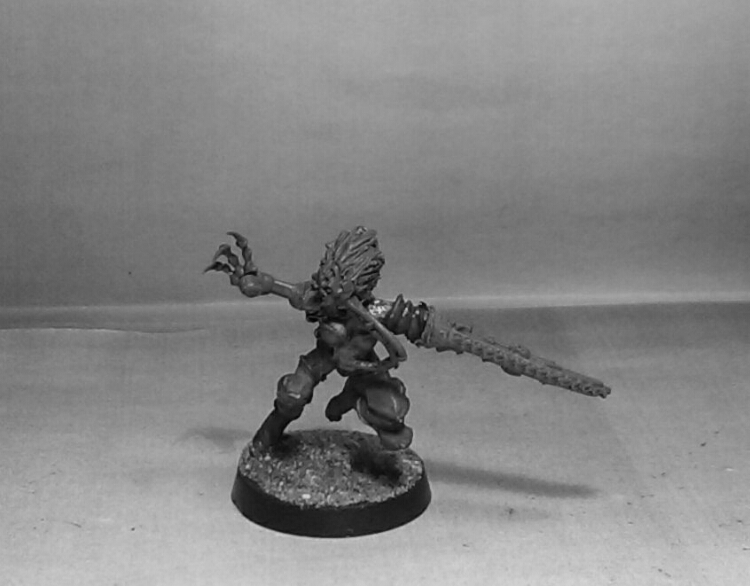 Yeah there are some awesome conversions out there. Definitely. Almost hard to keep track of it all.